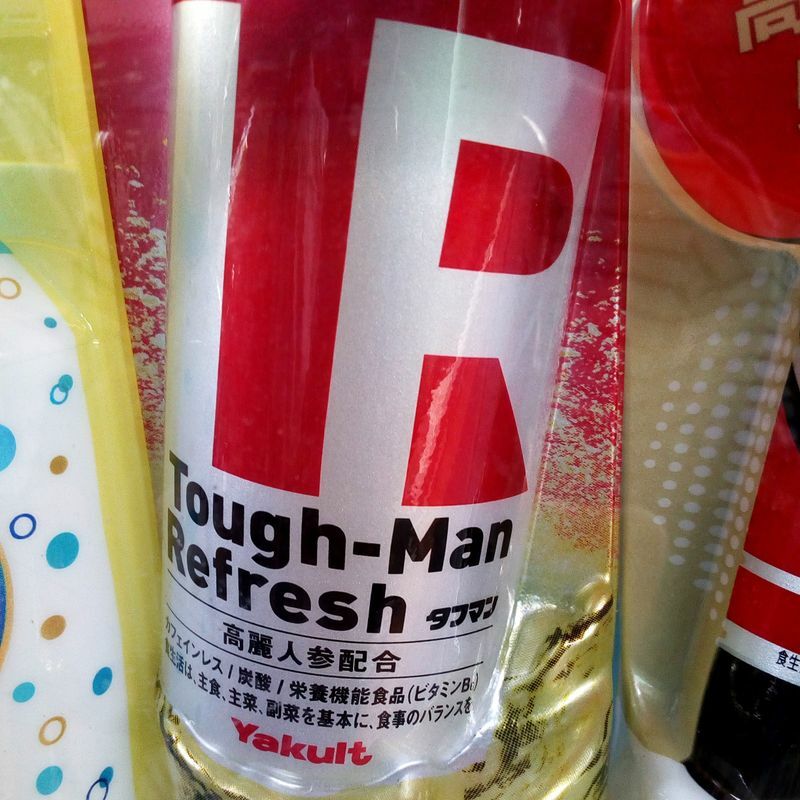 Here's one I spotted the other day called Tough-Man Refresh. I didn't see the Tough-Woman Refresh, but could have used one. 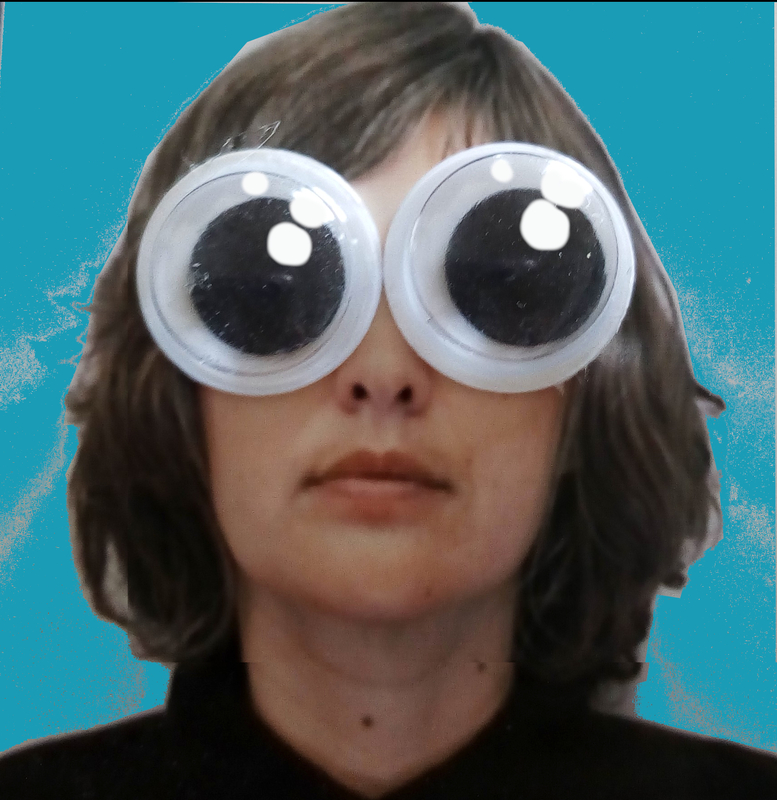 At least a Tough-Mam Refresh? It has ginseng in it! Sounds great during the summer when I've got the natsubate. (What's natsubate? Check this out.) I kind of wish ginseng was as ubiquitous here as it is in South Korea. Next is the jelly in a can. This was a first for me. I'm thinking it's a new product? (It's not jelly like what you'd put on toast, it's like kanten jelly, the cold dessert. Something like Jell-o in the US, but not as crazy sweet.) I could only think, eeeewwww. 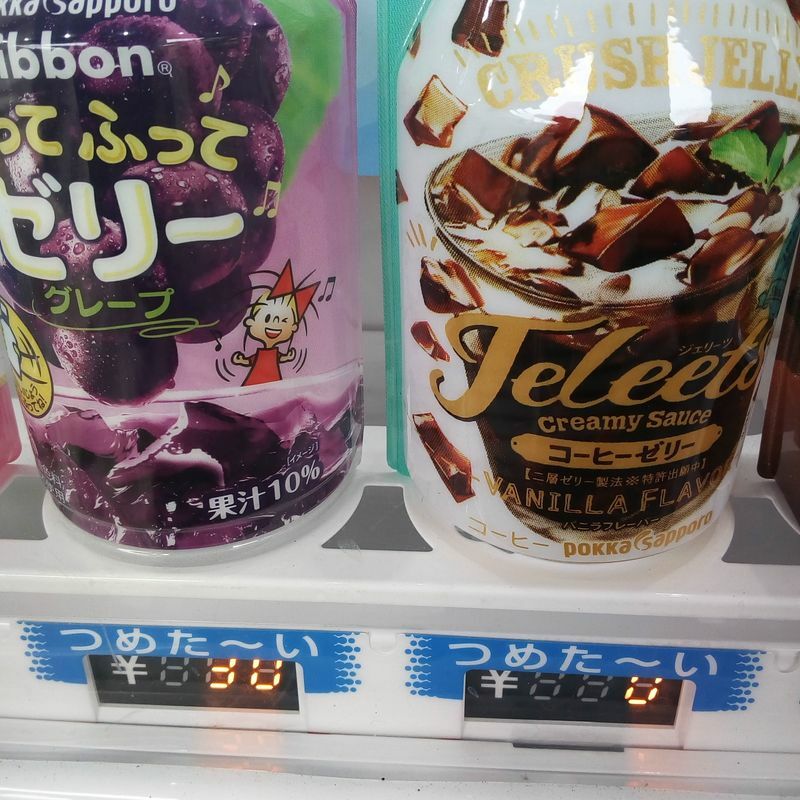 My husband said grape jelly (on the left) didn't sound bad in a can, but the 'Teleets Crush Jelly Vanilla Flavor Coffee Jelly' sounded gross. I could only imagine the cream part would come out first and the coffee jelly part would be left at the end. Plus the part that says, 'creamy sauce?' No, not on my drink. Normally I really like coffee jelly, but no. Not out of a can while waiting on a train platform. Has anyone tried these? Would you try them or is drinking a semi-solid repulsive? I like the tapioca and nato de coco chewy drinks, but the drinkable jelly just isn't appealing.